This morning, Japanese inflation data came out in line with expectations. The dollar is the outperformer this morning. Uncertainty on euro zone peripherals and lingering tensions on Korea might be part of the explanation for the overall USD strength. USD/JPY is currently testing the key 83.99 area. After the Mid-September interventions, USD/JPY trading became tactical game between the BOJ and the market. 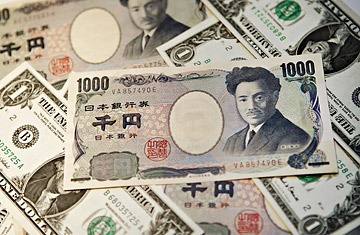 In this game, the BOJ was in no comfortable position. Its G20 partners were growing very sensitive to the value of currencies and any perceived manipulation of the currency could become a source of friction. So, investors felt comfortable with yen long positions (USD/JPY shorts) as Japan was considered to have little room of maneuver to execute a strategy of aggressive interventions to stop the rise of the yen. However, recently the global decline of the dollar shifted into lower gear. Until early November, any uptick in USD/JPY was seen as an opportunity to offload USD long exposure. However, finally a break of the 82.00 succeeded. The rise in US bond yields was the main driver behind the move. This improved the ST technical picture in the pair. In addition, Japan is still loosening its monetary policy while other Asian countries are tightening or preparing to tighten their policy. This might gradually become a yen negative factor too. We don’t expect a major U-turn in USD/JPY. Nevertheless, there was apparently room for a repositioning in a unidirectional positioned USD short/yen long market. Recently, we indicated that we were looking to sell USD into strength, but that we wait for a technical signal that this correction has run its course. A first test of the 83.79/99 area (previous highs) was rejected. However, new test is in the making supported by dollar strength overall. We continue to monitor the link with US bond yields. If those yields would continue their uptrend, the pair might still try another attempt to gain some further ground. 84.83 (Previous low) and 85.94 (post-intervention spike) are the next high profile ‘targets’ on the charts. On Thursday, there was no big story to tell on USD/JPY trading. The pair was locked in a sideways trading pattern between 83.40 and 83.70. In a broader perspective, the pair stayed well bid. However, with no incentives coming from the US, traders abstained from trying to attack any key technical level even as the 83.85/99 resistance area remained with striking distance. The pair closed the session at 83.60, compared to 83.54 on Wednesday evening.